Now entering #21 in the [Coaster Collection] here on the blog. 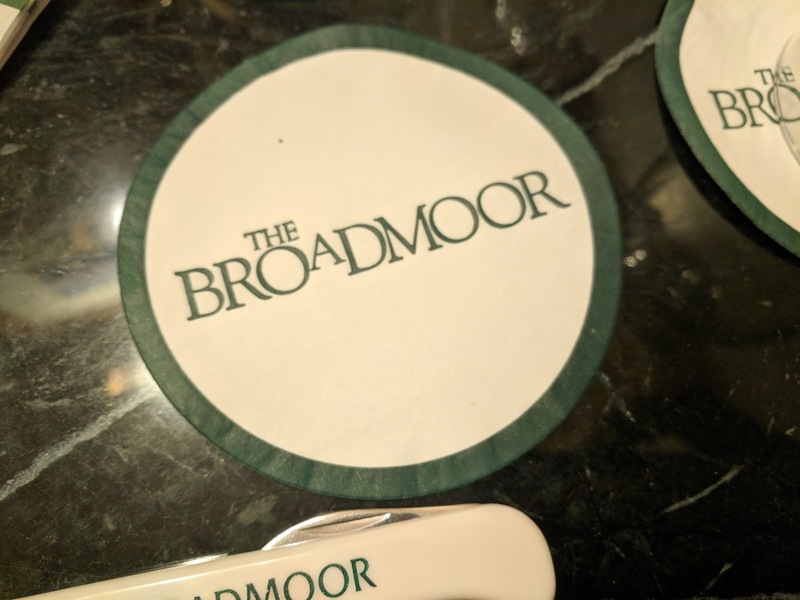 This one from The Broadmoor in Colorado Springs. Which...is a delightful place. Turns out, it is owned by the same folks who own Heaven errr...Sea Island. That explains a lot. I have a few photos of my stay (which was entirely too short) that I'll post up here on the blog with more details at some point. The most recent coaster prior to this one was Abracadabar down on the Disney Boardwalk. You can find the full coaster collection here.